Top Kendriya Vidyalayas in Assam 2018, List of Best Kendriya Vidyalaya Schools in Assam Region. Below you will find Top Kendriya Vidyalayas in Assam 2018, List of Best Kendriya Vidyalaya Schools in Assam Region. Kendriya Vidyalaya, AFS Jorhat was founded to cater to the educational needs of the children of the service personnel of the Naval establishment. Kendriya Vidyalaya, Krishna Nagar, Barpeta is a Co-ed English medium school managed by the Kendriya Vidyalaya Sangathan. Kendriya Vidyalaya, Dinjan was inaugurated in the year 1976 with an aim to stand as the Model Vidyalaya with all required facilities to train the children as the best citizens. Kendriya Vidyalaya, Nagaon, since its inception in the year 1979 is being managed under the aegis of Kendriya Vidyalaya Sangathan. 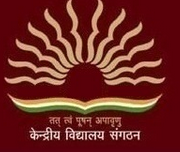 KV Diphu is one of the oldest Institutes of Kendriya Vidyalaya Sangathan, New Delhi with the common pattern in terms of Fee, Admission, Uniform and Curriculum. 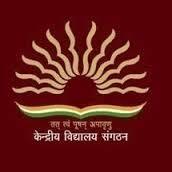 Kendriya Vidyalaya, Lekhapani is a Co-ed English medium school managed by the Kendriya Vidyalaya Sangathan. Kendriya Vidyalaya, NF Rly Rangiya, since its inception in the year 2010 is being managed under the aegis of Kendriya Vidyalaya Sangathan. Kendriya Vidyalaya Karimganj, one of the most prestigious educational institutions of Karimganj .